Comfortable heels? It may seem like an oxymoron but they really do exist! I recently discovered a new line of shoes called Adrian Allen, which combines comfort with style. 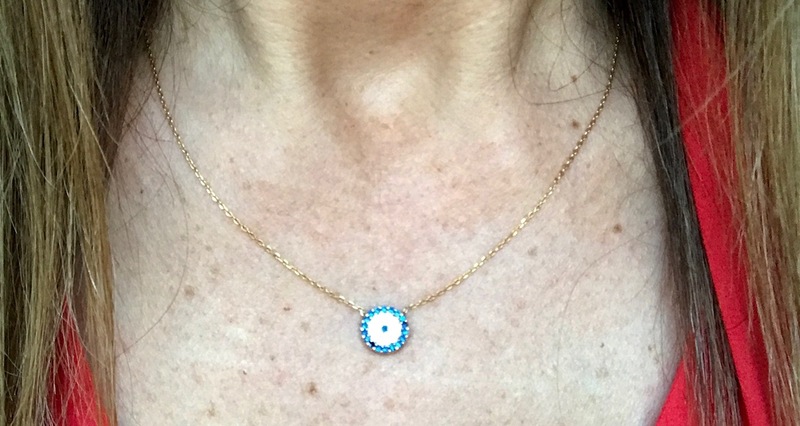 It's no surprise that the company is woman-owned. Founder Gwen Allen launched Adrian Allen when she became frustrated with the lack of comfy heels on the market. Her vision was to make a line of women's shoes that are stylish but actually wearable! Adrian Allen shoes are not inexpensive, but worth every cent. I will not skimp when it comes to my feet! Plus when I think of all the money I wasted on cheap uncomfortable heels, I could have had several pairs of Adrian Allen shoes! Meet Stella. With a 2 1/2'' heel and a 1/2'' platform, these gorgeous "go with everything" shoes have a thick padding from the ball of the foot to the heel. The leather is soft and subtle and of course I love the styling--isn't the tassel on the back fabulous? 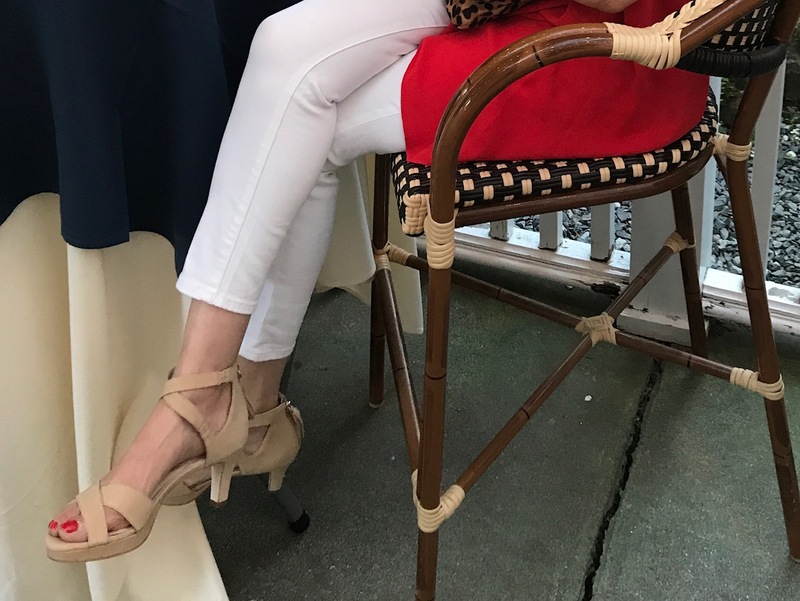 You can wear this shoe with everything from a romper to a little black dress--here I paired Stella with white skinny high-risewhite jeans and a flowy red silk top (similar HERE HERE and HERE). A leopard clutch pretty much goes with everything (similar HERE) and an armful of gold bangles (similar HERE under $30) and a simple and sweet necklace is just enough jewelry. Stella took me from dinner to a walk around Kennebunkport, Maine afterward. Can your heels do that? Leave it to a woman to design shoes that can actually be worn for more than an hour! Check out the full Adrian Allen line HERE and keep a lookout for "Sara", coming soon to The Midlife Fashionista. She's a fabulous peep-toe pump! And finally, a huge thank you to Gwen, owner of Adrian Allen for becoming a shoe contributor to Uncommon Threads. I love businesses with a heart! The Adrian Allen shoes were gifted and some of the links generate a small commission. However the content of my posts are based on my own honest opinions and are not in any way influenced by partnerships. I only post what I love! Beautiful shoes but not affordable for the average woman. Love the design! Love how cute those shoes are! Especially love how you styled them!! It's not only smart but stylish!! This one heals look perfect to wear because as I can see, its bottom is soft and the best materiel is used inside it. Leave it to a woman to design fashionable shoes that are actually comfortable. Love this outfit so much. One of your best looks of the Summer, Susan! Welcome by and join my linkup too. A brand-new one just went live yesterday. Thanks and enjoy the weekend! <3 Ada. So nice to know someone has designed something that works! 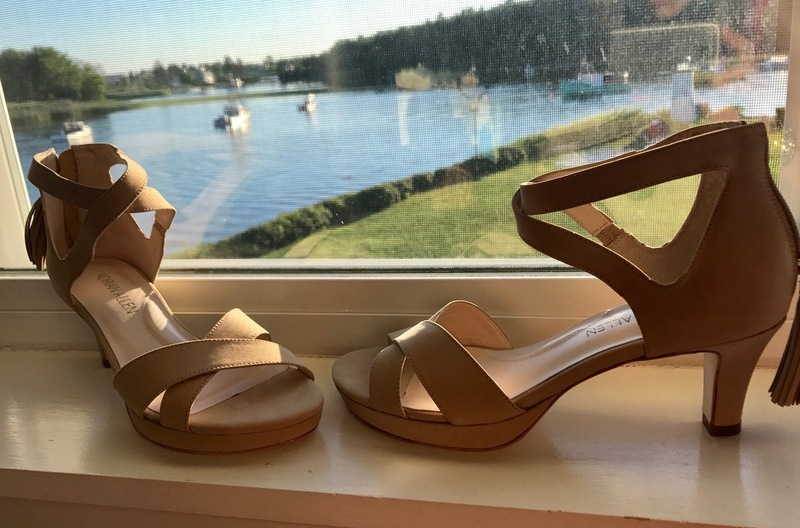 I haven't worn heals for years because of the discomfort (I'm 65), but I love heals and I still have good legs and would like to show them off if I could walk and be comfortable! These shoes have some heft to them and not skimpy with thin soles and leather. I want them in black. I think they would go with everything in black and I want them so bad! However, my husband will not let me spend the money on them. I have a high volume, large foot with large ankles and I think the scale of these would work well with my type of foot. Although they do look very nice on your foot too! Decide the type of shoes that you want. Patent shoes look classic and shine better than leather shoes. However, leather made shoes are flexible and easier to maintain. If you find shoes discount it hard to choose from the two, choose the one that will best reflect your personality.